TOP SPECIFICATION MODEL AVAILABLE, IN THE BEST COLOUR, WITH THE BEST SERVE HISTORY - SIMPLY SUPERB. THIS BEAUTIFUL EXAMPLE COMES WITH EVERYTHING, NOT TO MENTION THE 12 MONTHS COMPREHENSIVE NATIONWIDE WARRANTY AND 12 MONTHS AA BREAKDOWN COVER. MUST BE SEEN AND DRIVEN TO BE FULLY APPRECIATED. JUST ARRIVED! 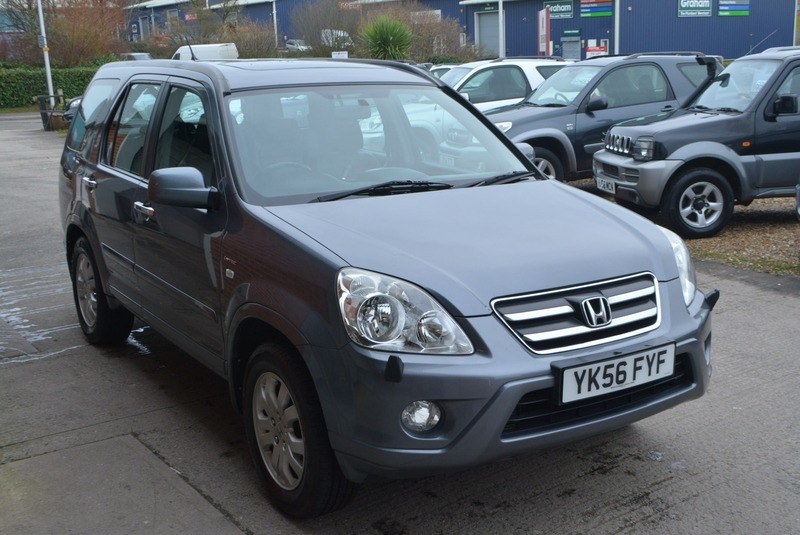 Here e have a stunning HONDA CR-V VTEC EXECUTIVE AUTOMATIC 2.0L PETROL 5 DOOR 4X4 in grey metallic with full black leather interior in truly exceptional, unrivalled condition throughout. Full service history at intervals of 7k, 13k, 20k, 24k, 30k, 35k, 44k, 50k, 54k, 60k, 66k, 77k & 91k. Coming with a new 12 months MOT, service, 12 moth warranty and 12 months AA breakdown cover. This top specification example comes fully equipped with satellite navigation, factory fitted electric glass sunroof, full black leather interior with electric adjust and heated front seats, alloy wheels, cruise control, climate control air conditioning, rear mounted spare wheel, aftermarket parrot hands-free system installed, genuine Honda detachable towing equipment fitted (barely used), independent opening tailgate window, electric windows, am/fm stereo with front loading cd player, electric folding mirrors, two fully remote keys and even an integrated picnic table as standard! Genuinely the nicest Honda CR-V mark 2 example that have ever seen, and auto petrol to boot - incredible!